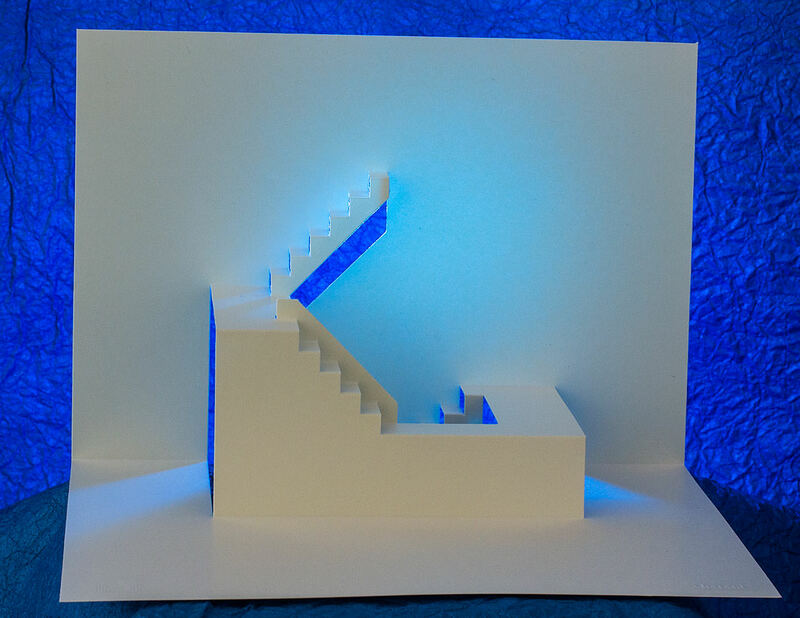 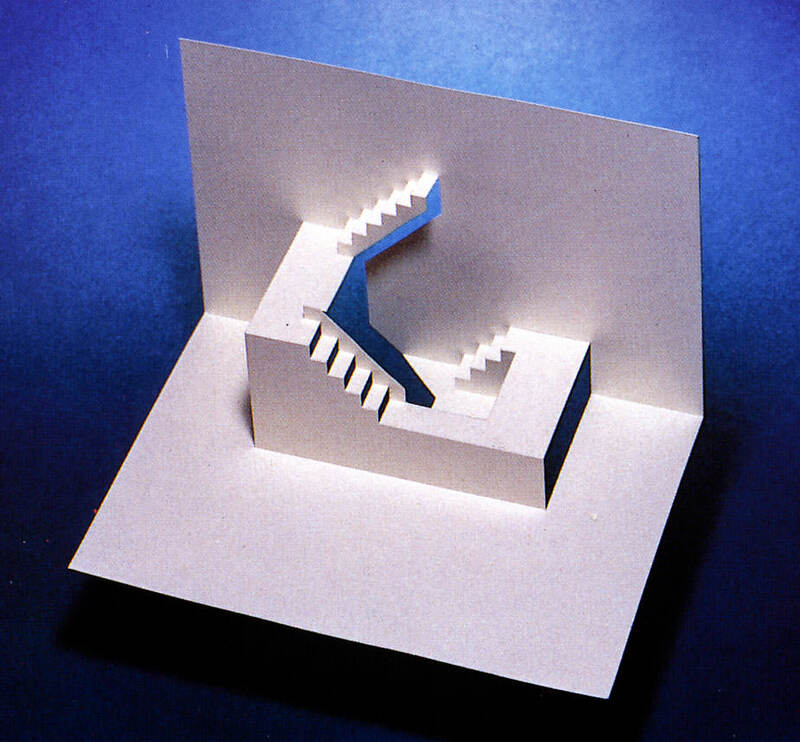 This pop up of an architectural abstraction of stairs makes a great pop up gift card for a birthday or any occasion. 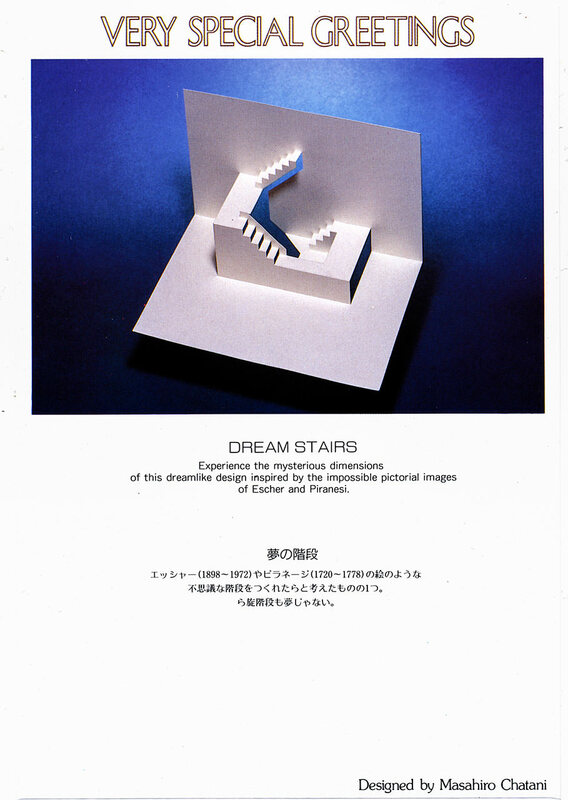 Experience the mysterious dimensions of this dreamlike design inspired by the impossible pictorial images of Escher and Piranesi. 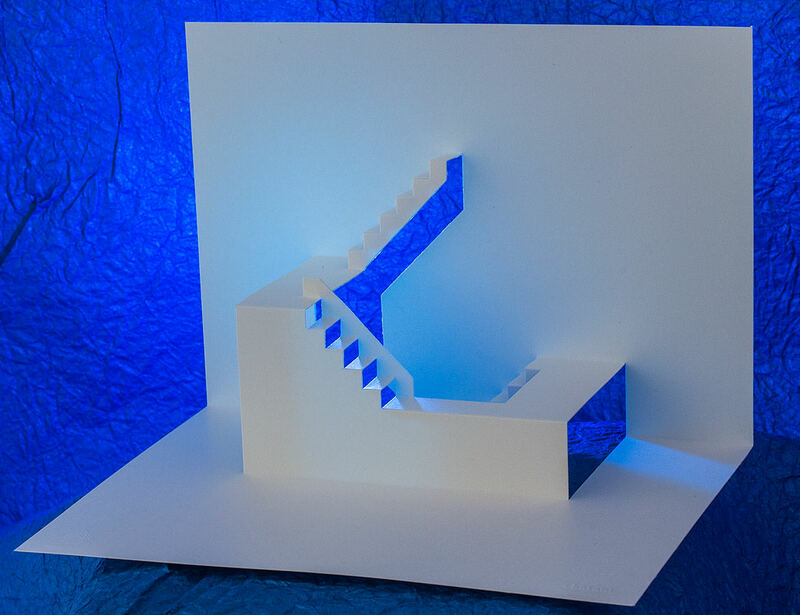 Origamic architecture Master Masahiro Chatani‘s pop-up tribute to the wedding ceremony makes a perfect save-the-date card or wedding invitation.